Bryan Zarpentine: Atlanta 23, Seattle 14 – The Seahawks are due for a loss after the last two weeks. Matt Ryan will do just enough to lift the Falcons to victory. Bryan Zarpentine: Buffalo 20, Pittsburgh 17 – E.J. Manuel’s return sparks the Bills, who find a way to win a close game for once. 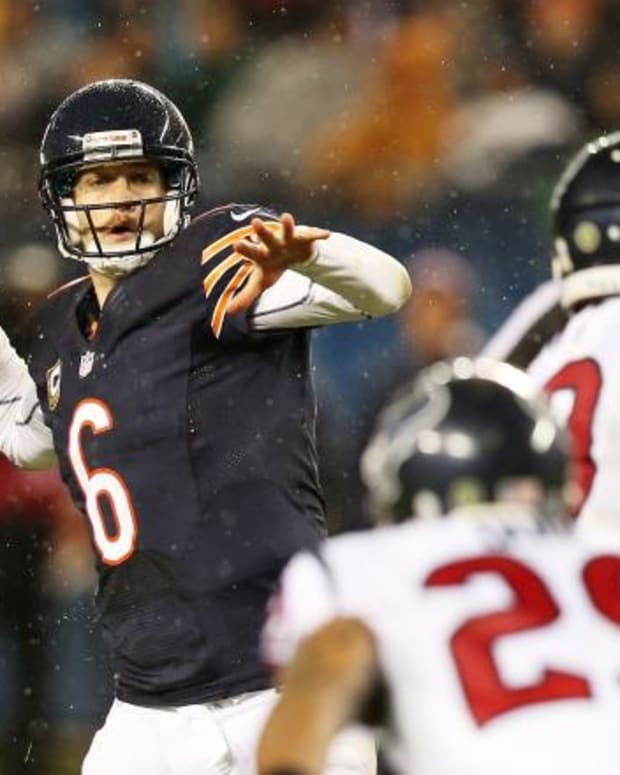 Bryan Zarpentine: Chicago 34, Detroit 28 – The Bears are riding high after their Monday night win, and with Jay Cutler’s return, they pull out a close win in the 4th quarter. Bryan Zarpentine: Cincinnati 31, Baltimore 13 – Things get even worse for the Ravens, who simply can’t slow down the Cincinnati offense. Bryan Zarpentine: Philadelphia 27, Green Bay 16 – Nick Foles doesn’t throw seven touchdowns the way he did last week, but he can certainly out-duel Seneca Wallace. Bryan Zarpentine: Tennessee 31, Jacksonville 17 – Jake Locker gets back on track and looks like the guy we saw the first few weeks of the season before his injury. Bryan Zarpentine: Indianapolis 28, St. Louis 24 – The Rams make it close, but in the end, they can’t stop Andrew Luck in the 4th quarter. Bryan Zarpentine: New York Giants 17, Oakland 10 – Baby steps for the Giants, who win ugly, but do find a way to win their third in a row. Bryan Zarpentine: San Francisco 21, Carolina 16 – Cam Newton can’t quite get the job done in the red zone, and the Panthers have to settle for too many field goals to knock off the 49ers. Bryan Zarpentine: Denver 42, San Diego 24 – Nothing can slow down Peyton Manning, and Phillip Rivers can’t quite keep up. Bryan Zarpentine: Arizona 27, Houston 21 – The Texans are reeling, and they won’t be able to get their running game going against Arizona’s defense, which makes it hard to beat the Cardinals on the road. Bryan Zarpentine: New Orleans 38, Dallas 31 – Tony Romo does well to keep up with Drew Brees, until a typical Romo mistake in the 4th quarter proves costly for the Cowboys. Bryan Zarpentine: Tampa Bay 17, Miami 13 – It has to happen sometime, and the Bucs defense proves disruptive for a distracted Miami team, which is enough to give Tampa the win.